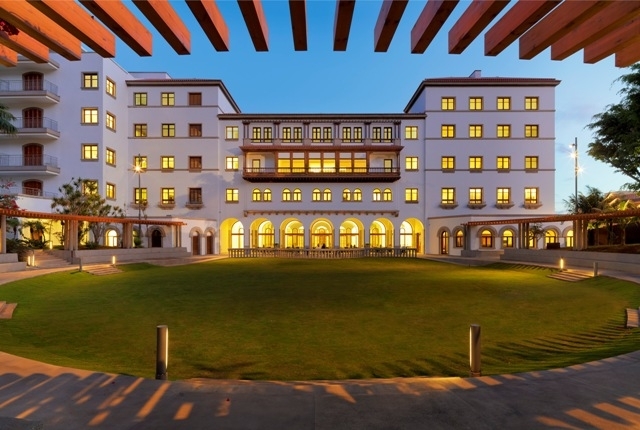 Starting this month, Iberostar has begun a series of gastronomic sessions with famous female Spanish chefs at the Grand Hotel Mencey in Santa Cruz de Tenerife, designed to satisfy even the most demanding palates in the archipelago. 04.09.2013 - All the featured chefs have been awarded Michelin stars and this monthly event, offering a masterclass and/or a tasting menu dining experience, looks as if it’s going to be a must-do for gourmands in the Canaries. 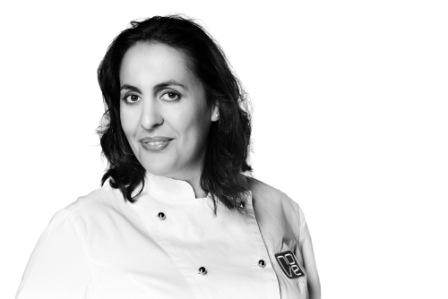 The first of the sessions kicks off with Beatriz Sotelo from Restaurante A Estación in Cambre (La Coruña) on September 7. The masterclass runs from 11.30am to 1pm and costs €30 and the menu with some superb accompanying local and well known Spanish peninsula D.O. wines at 9.30pm is just €68. Beatriz will be offering a menu full of Galician specialities and ingredients including: Finisterre razor fish with citrics; Jack fish with a blended pepper and vinegar sauce, spinach and strawberries; Fish of the day with cockle rice, goose barnacles and basil and Cannelloni of Galician Piñeira hen, wild mushrooms, the famous San Simon da Costa cheese and truffle flavoured juice from the roast, as well as novelties using Spanish ingredients such as Spanish beef tataki with wasabi yoghurt and Brioche French toast with a vegetable vinaigrette and pineapple ice cream. Future star-studded chefs invited are: Macarena de Castro from the Restaurante Jardín en Alcudía (Mallorca) who will offer a masterclass and tasting menu based on Pure Mediterranean Sea; Yolanda León of Restaurante Cocinandos in León, will present León – What are its flavours? and Fina Puigdevall of the Restaurante Les Cols de Olot in Gerona proposes to tempt you with Buckwheat in our cooking. 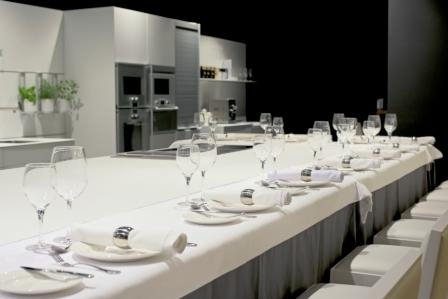 The Mencey’s Kitchen Classroom is unique and since it opened it has dedicated itself to offering its clients new gastronomic experiences of a high quality. In a relatively short period of time, it has been successful in becoming a reference point for the whole island. The hotel is easily found, situated on a corner of the Ramblas in the capital, right near the Parque García Sanabria. The sessions are open to all those who would like to enjoy the best of Spanish gastronomy in a truly splendid setting and you can book now online using www.lacocinadelmencey.com or by calling 922 609 900. Produced with news.CMS in 0,1167 seconds.